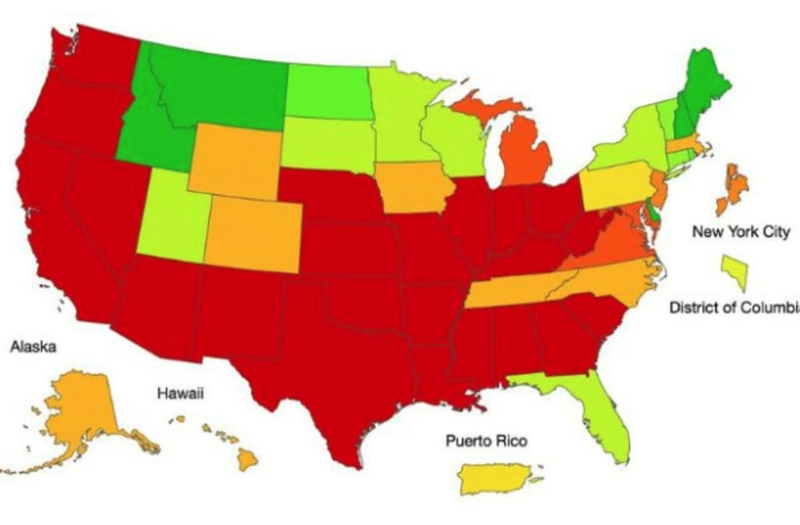 A particularly deadly flu virus has reportedly become widespread in 46 states across the country, according to the recent data from the U.S. Centers for Disease Control and Prevention. The CDC reported the severe flu season has already resulted in the deaths of at least 13 children since it began in October. "This is a feature of this year’s flu -- not only did it start early, but it seemed to occur all over the country more or less simultaneously," Dr. William Schaffner, an infectious disease specialist at Vanderbilt University, told ABC News. According to data released last week from the CDC, the deadly virus has yet to reach "epidemic" proportions, but it could soon. A flu outbreak can become an epidemic when the number of deaths resulting from the virus exceeds a percentage set by the CDC using data from previous years. However, this week's number of deaths has reportedly placed the country at just 0.2 percent below that threshold. State health officials in Ohio said nearly 2,100 people have been hospitalized because of the flu, which is a dramatic increase from the 369 hospitalizations around this time during the 2016-2017 flu season. The state hasn't reportedly experienced a flu season this terrible since the 2014-2015 season when there were roughly 2,800 flu-related deaths. The virus also appears to be hitting California particularly hard. According to the Associated Press, at least 27 deaths of people under 65 have been linked to the flu. State hospitals are also reportedly beginning to run out of the anti-viral medication used to treat the illness, Tamiflu. 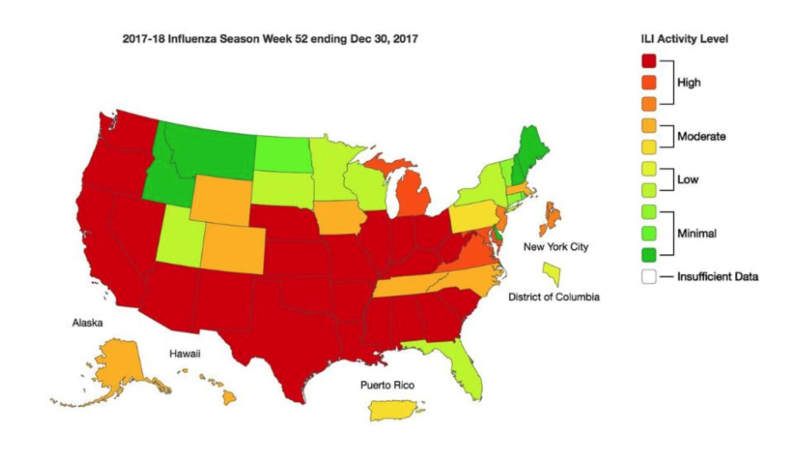 According to The Weather Channel, many of those contracting the virus have a strain known as H3N2, which reportedly doesn't respond well to flu vaccinations and is particularly dangerous to young kids and adults over the age of 65. Symptoms of the virus include fever, cough, body aches, headaches and fatigue. To treat the flu, the CDC recommends using over-the-counter medications like ibuprofen or cough syrup to relieve symptoms, in addition to resting and taking fluids. If you are able to contact your doctor within 48 hours of onset of symptoms, you can potentially be administered an antiviral drug which will reduce the severity of symptoms in addition to the length of the illness. The CDC also has additional guidelines here.